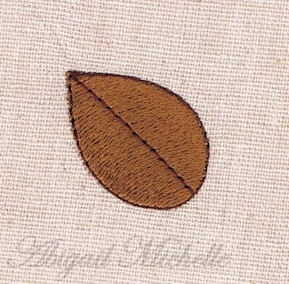 Mini Spring Flower Leaf - 3 Sizes! Perfect for spring or any time of year! Change the colors to suit your project. Includes three mini sizes. Great for stitching on socks, ribbon and more. Finish Size .96" x .83"
Finish Size 1.21" x 1.04"
Finish Size .48" x .42"